The most versatile, effective and easy-to-use Visitor Management system available! 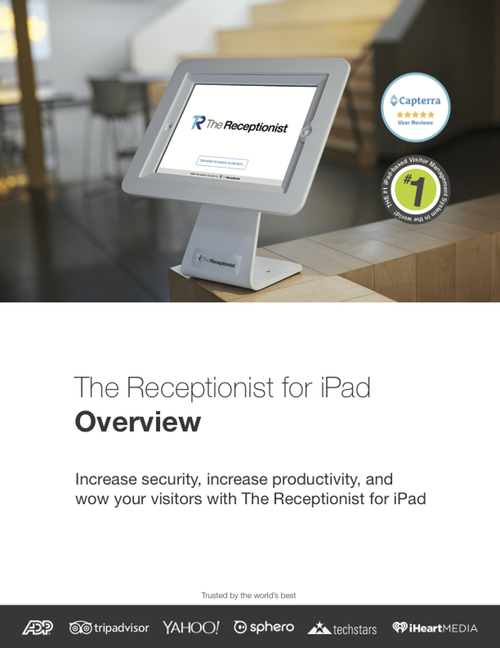 Whether you are looking for a simple visitor logging system to track your visitor traffic, or require a fully customizable, SMS and email enabled, two-way communication system with badge printing, The Receptionist for iPad can solve your specific office needs. This PDF highlights our features and includes case studies of just a few of our satisfied customers. It’s perfect if you need something to share with others, or are just interested in learning more about our product.